How to start a blog? All you need to know! Hey I'm Jane. I'm the founder and editor of Savvy Blogging Tips and Best Hosting And Design. I also run a couple of other blogs: Slick Wellness. Here at SBT, I share brutally honest blogging tips for bloggers of all levels! How to create irresistibly shareable content? What is affiliate marketing? How to succeed! How to build rapport with your email subscribers (and why is it crucial)? 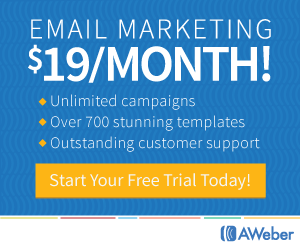 The email marketing service I use and trust!